Is your business transparent on tax? 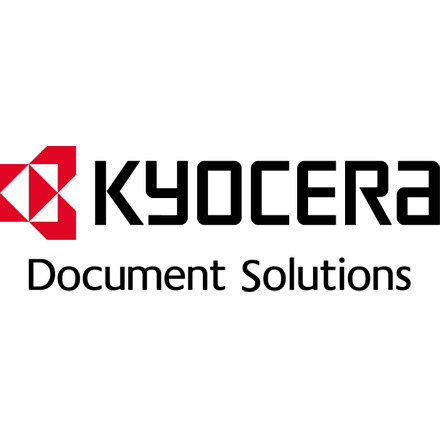 Kyocera Document Solutions (UK) Ltd (KDUK) is the UK subsidiary of the document solutions division of Kyocera Corporation. KDUK's policies are informed by Kyocera's corporate philosophy, which is practised in all its subsidiaries worldwide, and which applies "doing the right thing as a human being" as the central criterion for all decision making. This philosophy is embedded in management policy and actively practised at all levels of the business. Kyocera's attitude to tax was defined by Dr Inamori, the founder of the business, whose views on taxation are expressed in his book 'A Passion for Success' thus: "A company's profit does not belong to the executives. Further, the taxes we pay are used to benefit society. We should not selfishly hide our profit from taxation". KYOCERA Corporation establishes domestic subsidiaries in each of the countries where it has a significant trading presence, ensuring that tax revenues are contributed to the economy in those countries. Tax havens are not used, and each country subsidiary submits its annual report and accounts to the relevant national authority. KYOCERA Document Solutions UK (KDUK) is a wholly owned subsidiary of Kyocera Corporation, incorporated as a Limited Company, domiciled in the UK and subject to UK Corporation Tax. As KDUK is the entity that engages with Responsible 100, only the tax affairs of the UK subsidiary are described in detail here. As a single entity with no subsidiaries and a headcount of 166, KDUK has answered this question as an SME. KDUK employed an average of 166 people during the financial year ended 31st March 2016 turned over £74M. This puts it below the headcount but above the turnover threshold for definition as an SME, but at the smaller end of the large business scale. Because it is a subsidiary of a company that is registered on both the Tokyo and US stock exchanges, it is subject to the governance standards applicable to its parent company and to annual internal and external compliance audits. KDUK has been trading profitably for the past several years, however significant losses were incurred prior to financial year ended 2009. For the financial year ended 31st March 2016, profit before tax was £1,293,245. Tax was due at 20% on that value, amounting to £274,239. However, the entire tax amount was offset against losses carried forward from previous years, therefore no payment was required. KDUK's annual report and accounts are lodged at Companies House and are audited by PWC. Taxation is raised by government to fund public goods such as education, health care, and law and order. These services are vital in maintaining strong and healthy societies, and in turn, healthy economies on which business depends. Since individuals and businesses prosper when society prospers, the incomes of both individuals and businesses are taxed to fund public spending. Unfortunately, governments lose many billions of pounds each year due to tax avoidance (which is legal) and evasion (which is illegal). Some methods of avoiding taxes, while technically legal, may suggest limited civic responsibility. Loss of expected tax revenue may result in governments needing to increase borrowing, reduce public spending or increase the tax burden on individuals or other business organisations. This can create forms of unfair competition benefiting tax avoiders at the expense of everyone else. When it comes to determining how much tax a business pays, larger and especially multinational companies are usually much harder to appraise than smaller firms. This is for two reasons. Firstly, there is often no legal requirement to disclose in either group or individual company accounts how much tax they pay and where they pay it, on a country by country basis. For UK firms, under accounting rules, the tax figure they need to disclose follows the profit disclosures and is therefore a worldwide one – given the multiplicity of tax rates around the world and the fact that they are under no legal obligation to reveal where they make their profits (they simply need to reveal how much they make in total), the worldwide tax data disclosed is often inadequate as a basis for assessment. Second, multinational corporations generate profits across a number of different tax jurisdictions, potentially enabling the exploitation of favourable rules in tax havens and lower tax territories. Third, successive UK governments have changed tax policies to make the UK an attractive holding company location. As a result of tax competition, globally higher world-wide profits do not necessarily result in higher taxes. This question is designed for UK businesses and organisations that are subject to corporation tax. Those which are not include sole traders, traditional partnerships and limited liability partnerships. The profits of such entities are taxed via their owners/partners and often personal factors (unrelated to the business) have significant impact on the resulting tax due. This question is not designed for unincorporated businesses and such entities may respond NOT APPLICABLE although they are encouraged to take the opportunity to demonstrate transparency regarding their tax affairs nonetheless. In answering this question, respondent businesses may publish information to supplement the text of any written answer by, for example, referencing other documents and inserting hyperlinks - so long as they are specific, relevant and manageable additions. All disclosures made in answering this question should be available in the country of the respondent company’s headquarters. All country-relevant disclosures should also be available in each of the relevant local countries and their appropriate languages. Note – Whether a company is an SME, medium sized or large company is based on EU provisions set out in the Annex to the Commission Recommendation 2003/361/EC of 6 May 2003 concerning the definition of micro, small and medium-sized enterprises. 'Deferred tax assets' generally arise where a tax deduction is deferred to a period later than that in which the expense is accounted for or where a company incurs tax losses that can be utilised in future periods. 'Deferred tax liabilities' generally arise where tax relief is provided in advance of an accounting expense or income is accrued but not taxed until received. A 'tax haven' is a country or state which combines a low or zero rate of tax for effectively non-resident individuals and businesses, with a high degree of opacity to obstruct authorities elsewhere from challenging the arrangements. As a proxy, this question uses the Tax Justice Network’s Financial Secrecy Index. Those countries scoring higher than 60 on the index as well as Cyprus, The Netherlands and Ireland are deemed to be tax havens for the purposes of this question. It should be noted that there are a variety of legitimate business reasons for locating in these countries and territories. Respondents to this question which do use them are encouraged to take the opportunity to explain their arrangements. e) or explain if and why a, b, c or d is not possible.